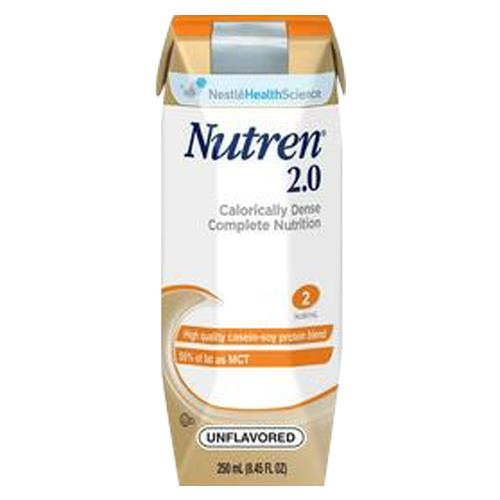 Nestle Nutren 2.0 Complete Calorically Dense Liquid Nutrition is a very high-calorie formula for increased energy requirements and severely restricted fluid volume. The balanced nutrient profile for short or long term tube feeding and 75 percent MCT (Medium-Chain Triglyceride) to decrease potential for fat malabsorption. It has high quality casein-soy protein which blend to help support lean body mass. Thank you for reaching out to us. Once opened, unused portions should be tightly covered, refrigerated, and used within 24 hours. Consume the powder contents within 4 weeks after opening.